Zoe performed on Show 337 in York, PA on April 15, 2017. 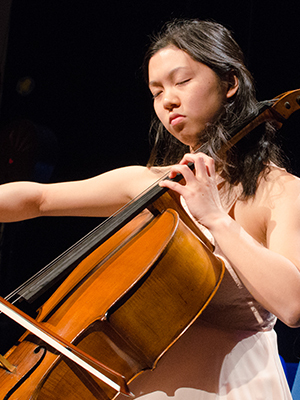 Zoe Lin (cello), 17, is from Palo Alto, CA where she is homeschooled and studies with Jonathan Koh. Her favorite musical experiences were when she attended the Meadowmount School of Music in 2015 and 2016. When she isn’t playing cello or studying, she enjoys food photography and scouting out the best bubble tea shops.